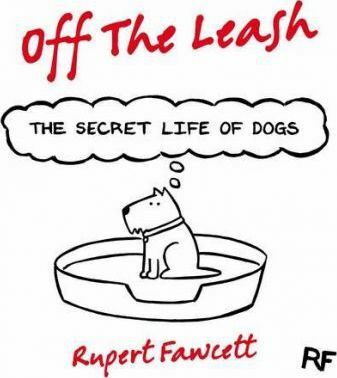 Launched just over a year ago on Facebook, 'Off The Leash' has developed a regular daily following of half a million dog lovers from around the world. Now the best of Rupert Fawcett's brilliantly observed, touchingly true cartoons come together in book form for the first time. Featuring the secret thoughts and conversations of dogs of every size, shape and breed, this gorgeous book is a celebration of our favourite belly-scratching, tail-chasing, bed-stealing canine friends. Rupert Fawcett is an English cartoonist living in London. He became a professional cartoonist almost by accident when in 1989, whilst doodling, he drew a bald man in braces and carpet slippers and called him Fred. The Fred cartoons went on to be syndicated in the Mail on Sunday, were published in several books and to date over 9 million Fred greetings cards have been sold in the UK, Australia and New Zealand. Off the Leash is his latest creation.